One of the most cherished past-times of summer has got to be the quintessential road trip. It’s classic, it’s perfection–not-so-good-for-you-food, quirky stops along the way, and activities to help pass the time on the road. My little family (my mom, my sister and I–we’re the best of friends) took to the road a couple of days ago and had so much fun. We made two fun little stops and did some ordinary shopping, rounding the day out with some horrific singing as we made our way back to where we started. Even though the outing could have been dubbed “normal” and “uneventful,” the day proved to be full of fun little moments that made for a memorable day. 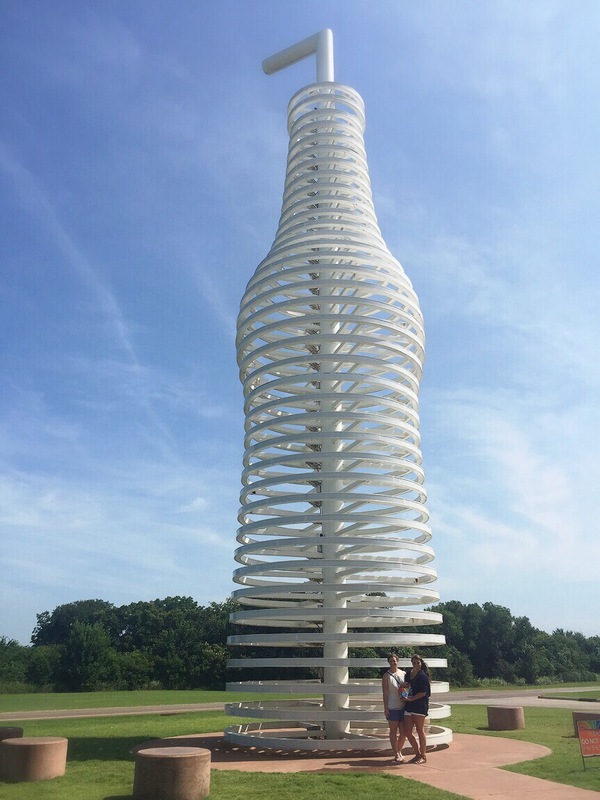 Our plans took us to Oklahoma City and surrounding areas. I love the atmosphere in OKC; downtown is hip and kind of funky, and its suburbs are filled to the brim with shopping and dining. 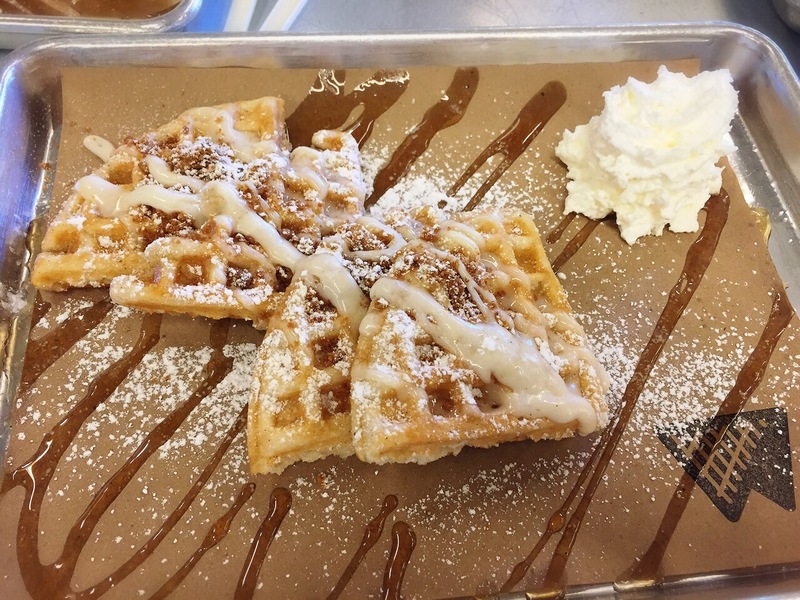 Our first stop was for breakfast at Waffle Champion in downtown OKC–as soon as I put my first bite of classic waffles with cinnamon cream cheese syrup and a sprinkle of graham cracker crumble, I knew I had experienced a taste of heaven, nirvana, El Dorado, you name it. As Leslie Knope (Parks and Recreation) once said, “We need to remember what’s important in life: friends, waffles, and work. Or waffles, friends, work. Doesn’t matter, but work comes third.” Waffle Champion assured this outlook on life, and I plan to make many more trips to experience the deliciousness all over again. 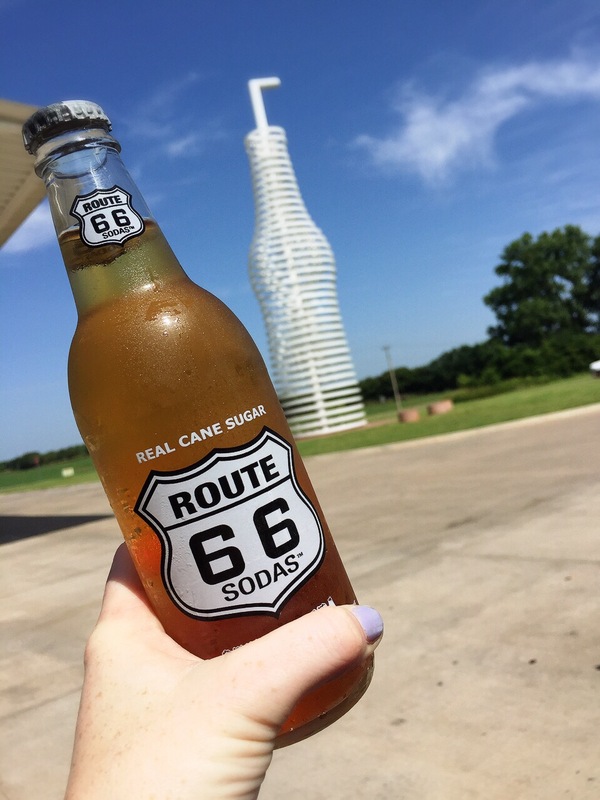 Our next stop was a complete surprise–a gas station lovingly named “Pops” located in Arcadia, Oklahoma, along the original Route 66. 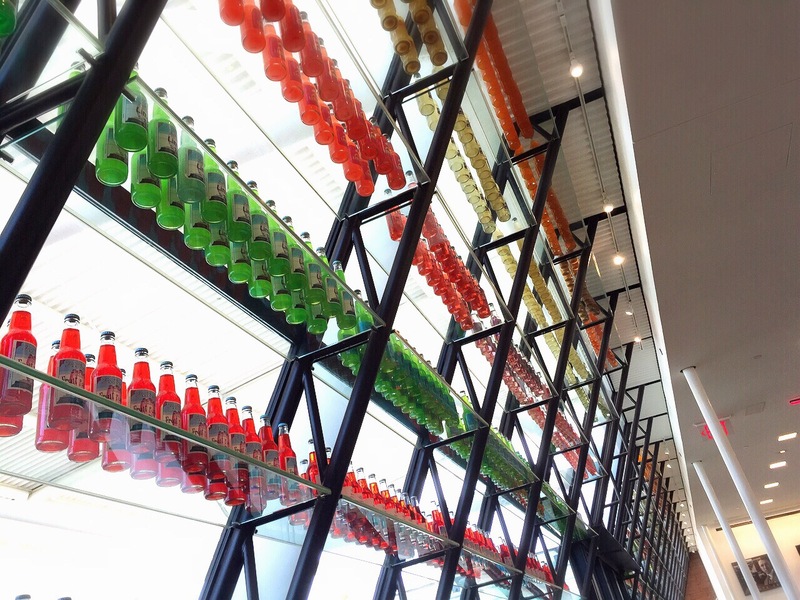 Its name is derived from the fact that over 600 flavors of soda are sold within its walls. A statue of a classic soda pop bottle sits in front, further contributing to the charming theme. The rest of the day was spent shopping and experiencing little moments that made the entire clan smile: comparing our shopping excursions to that one episode of Gilmore Girls in which they window-shopped, stumbling upon a Disney Store outlet, and singing Disney tunes at the top of our [my] lungs as my mom’s Expedition lumbered on down the road. Sometimes summer vacation doesn’t have to be chock full of big moments to be special and fun. Sometimes you just need an “ordinary” road trip to produce an extraordinary day. Summer is oh so close, my friends. Read as many cute children’s picture books as I can. Why not? Eat some waffles. I’ve been craving waffles for about a month now, and I still haven’t gotten any. Establish pointless holidays and celebrate accordingly. For example: National Hop on One Leg Day, National Sing Idina Menzel Tunes at the Top of you Lungs Day, or National This Was the First Day We Ever Tried This Restaurant And Liked It, Let’s Go Eat There Again Day. These are just prototypes, of course. Have a Disney movie marathon (who am I kidding…I always do this). Convince my family to go to the grocery store and talk with a British accent so that people think we are fancy. Make up a scavenger hunt to complete. Dress up extremely cute (far above normal standards) and go out to eat–just for fun. There you have it! Summer is the time to have some good old-fashioned fun. Feel free to use my list above (which I just totally made up on the spot) or come up with some of your own fun-seeking ideas. Have a sunshiny day, my friends!